84 yrs. of Kalamaula, Molokai. 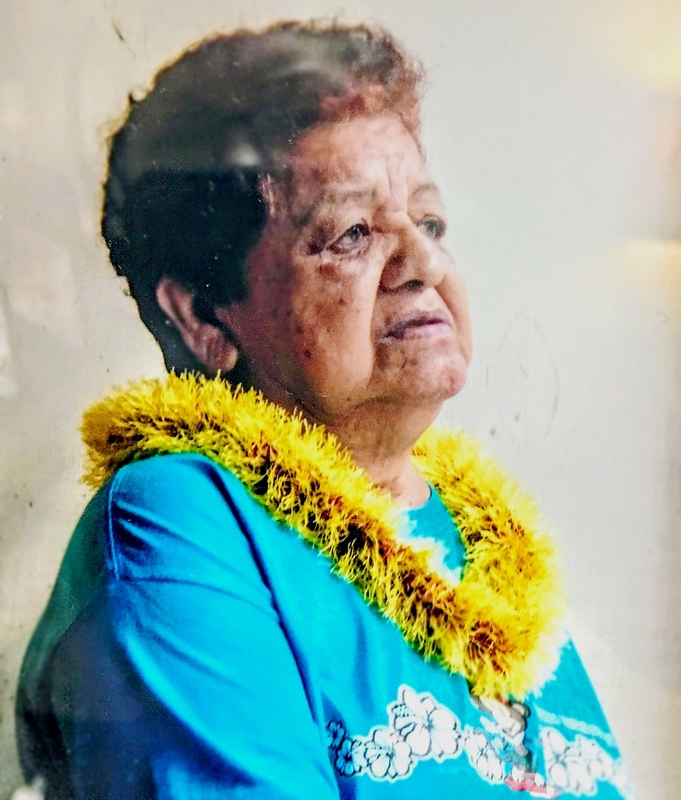 Gwendolyn passed away November 11th, 2017 in Kaunakakai, Molokai. She was born on February 7th, 1933 at Queens Hospital in Honolulu, Oahu; she was the last surviving child of the late William Sylvester and Harriet (Hattie) Leialoha Kaleimamahu Smith of Kalamaula. Affectionately known by family and friends as "Sister", she retired from the State of Hawaii Department of Health, Waimanu Training School and Hospital as a food service worker on February 15th, 1988. She was a treasured mother, grandmother, great-grandmother, aunty, cousin, friend and confidant. She is survived by her sons Francis (Kristen) Chock of Minnesota, Nathan (Mina) Chock of South Carolina, Rudy McGwin of Virginia, Steve (Gay) McGwin of Pennsylvania, and her daughter Laurie (Kaleo) Bishaw of Hoolehua, Molokai. She is also survived by step- children Steve McGwin of Michigan, Michael (Susan) McGwin of Texas and Michelle (Lew) McGwin Seebinger of New Mexico. She was also predeceased by her two sons, Gary and Randy Chock and their father, Francis Chock; and stepdaughter Gladys "Happy" Hollman and her father, Donald Hugh McGwin. Gwendolyn's legacy lives on with 22 beautiful grandchildren, 19 great-grand- children and many nieces and nephews. Services will be held at 9:30am on Saturday, January 13th, 2018, at Ka Hale Laa O Ierusalema Hou Church, Kalamaula, Molokai, followed by ashes to sea service off Kapuaiwa Grove, Kalamaula. No flowers, aloha attire.